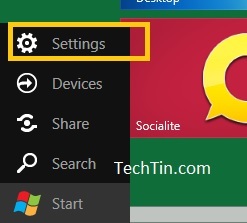 All earlier versions of windows including windows 7 have power button in start menu. 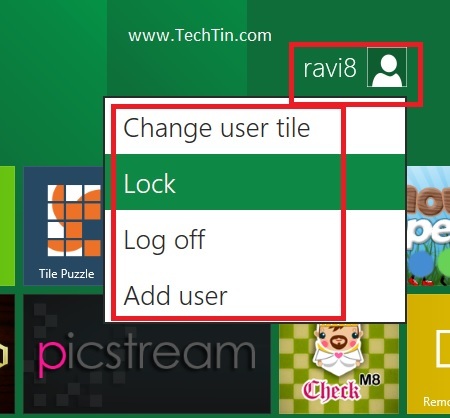 But windows 8 start menu do not have any power button. Windows 8 is designed and optimized for tablets PCs. Users hardly shutdown, restart tablets. There is a quick button of Log off and lock windows on desktop. But there is no quick button for shutdown / restart. Take your mouse to bottom left hand corner to pop out Start Panel. Now click Settings. This will open settings pane in right side. 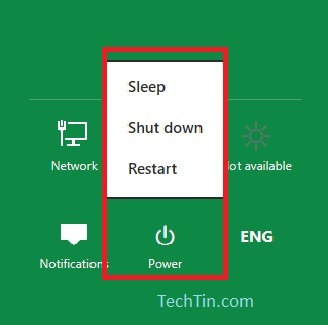 Click on the power button to access shutdown, restart, sleep windows 8.